Following adding perimeter formwork, rebar, and welded wire mesh, the first floor is poured. 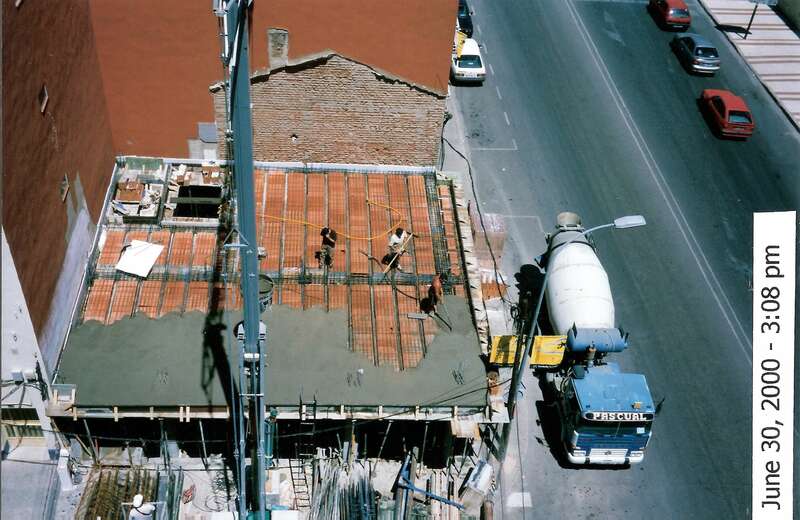 The crane is used to transfer the concrete from the truck to the workers. All of the beams and columns are vibrated and then the floor is leveled. The finish is left rather rough as the entire floor surface will eventually be tiled.